The launch of the TON network and the Pavel Durov Gram currency is becoming increasingly real. Market participants expect this with obvious concern. Even the imperturbable Ripple began to move. It seems that Durov’s brilliant idea to combine the capabilities of the messenger and cryptocurrency is really productive. Therefore, Ripple turned to Skype. Skype responded favorably. 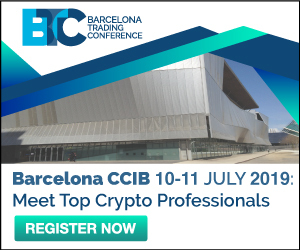 The alliance of such large structures can push XRP, if not to the first, then to the second place as for capitalization. To do this, XRP is to add only 20-25% in price. Some observers claim that XRP will grow to $ 1, that is, 3 times – and then its capitalization will be half the capitalization of BTC. What exactly they have agreed on – we will never know. But from what is presented to the public, it is clear that Skype is not averse to consider the possibility of crypto in order to monetize its services. 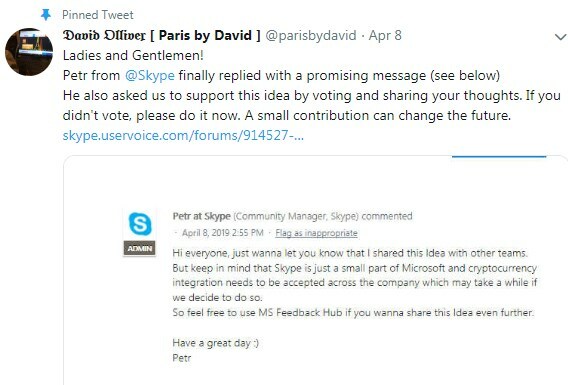 – My idea is to implement micropayments in Skype. 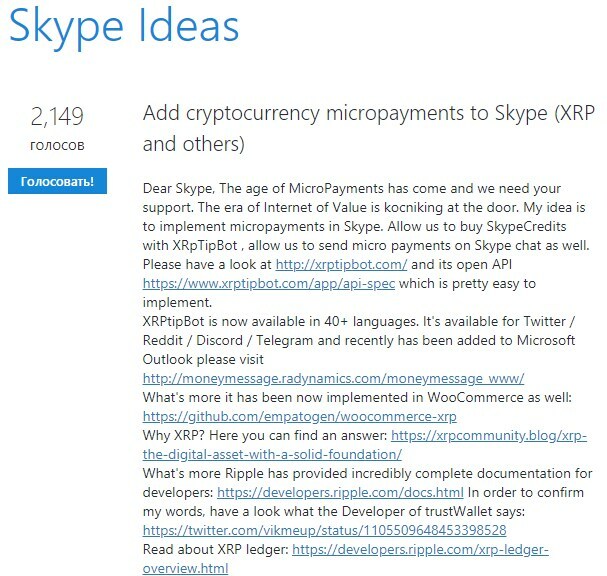 Allow us to buy SkypeCredits with XRpTipBot, allow us to send micro payments on Skype chat as well. 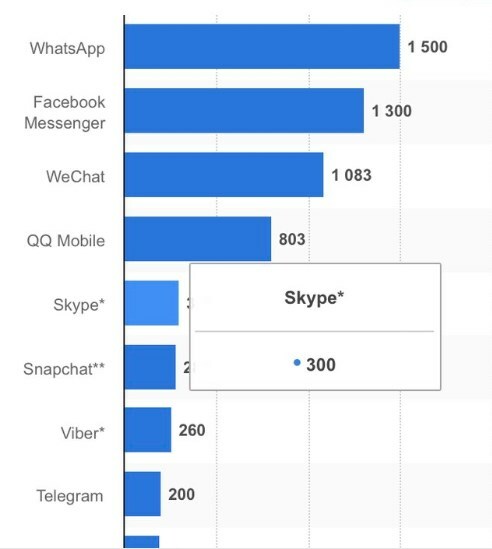 According to him, the number of Skype users is one and a half times the number of Telegram users. Maybe now Pavel Durov should be worried?